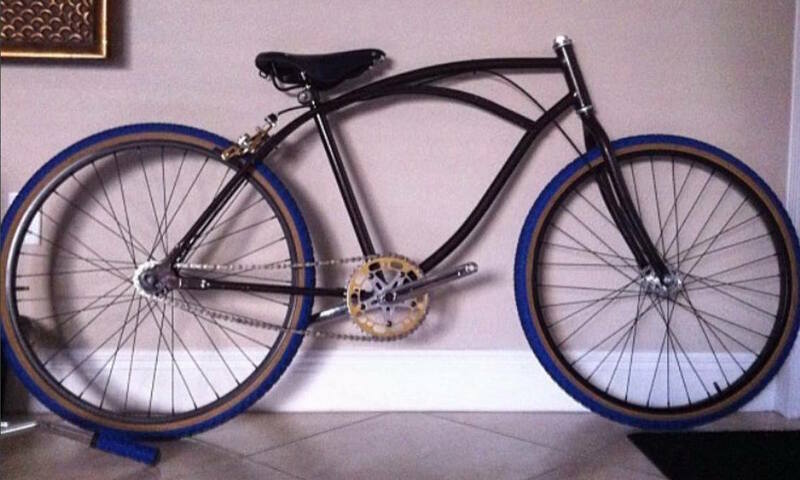 Vintage steel Sekai 400 64cm bicycle stolen from South Beach on 12/2. Very large bike with bullhorns. Above is the photo of the thief. Contact Gavin at (305) 799-2864 if you have any information. Cannondale F600 and Dynacraft fixed gear with Thule rear rack stolen from NeoVertika in Brickell. Contact Oliver at (305) 975-3134 if you have any information. 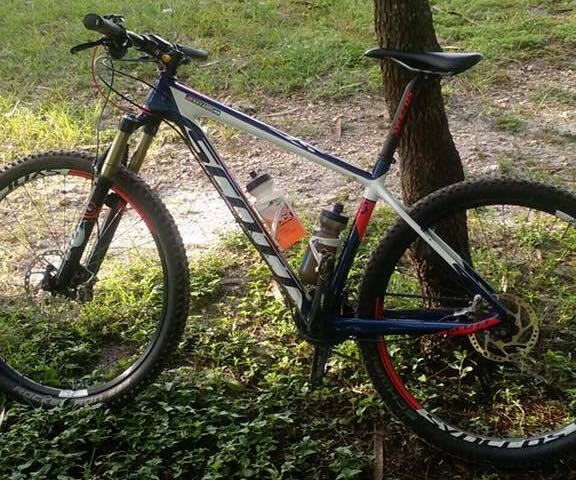 2015 Scott Scale 910 29er stolen from Doral on 9/26. Contact Carol if you have any information. 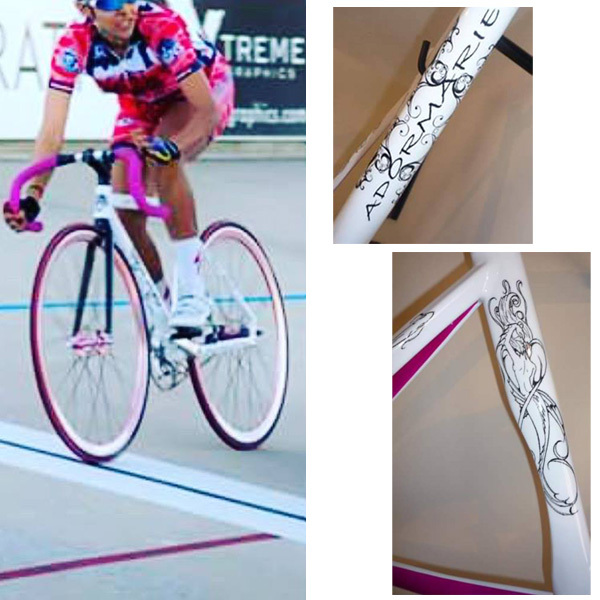 White and pink track bike with custom painted on black designs stolen from Coral Way/Coconut Grove area. The bike has pink handlebar tape, Truvativ cranks, SRAM chain ring, and Token wheels. Contact Adormarie at (828) 772-4941 if you have any information. 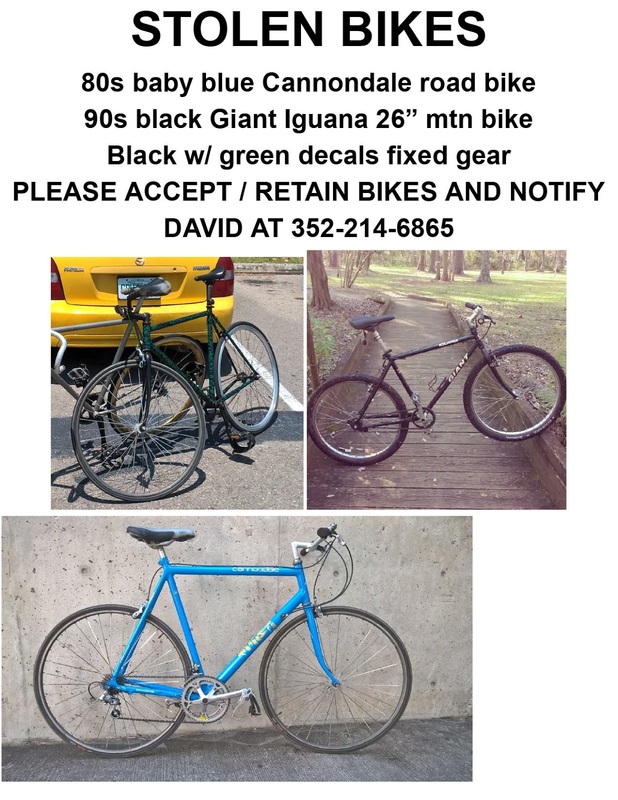 Two track bikes stolen from residence on 64th and Biscayne (Upper East Side) on 9/22. First is a white Corima Cougar w/ Campagnolo C Record crankset, Dura Ace headset, Cinelli handlebars, HED back wheel, Tri Spoke on front. Second bike is a black KHS Flite w/ black SRAM crankset and Velocity Deep V's (not wheels pictured). Contact Jonathan at (305) 767-5616 if you have any information. 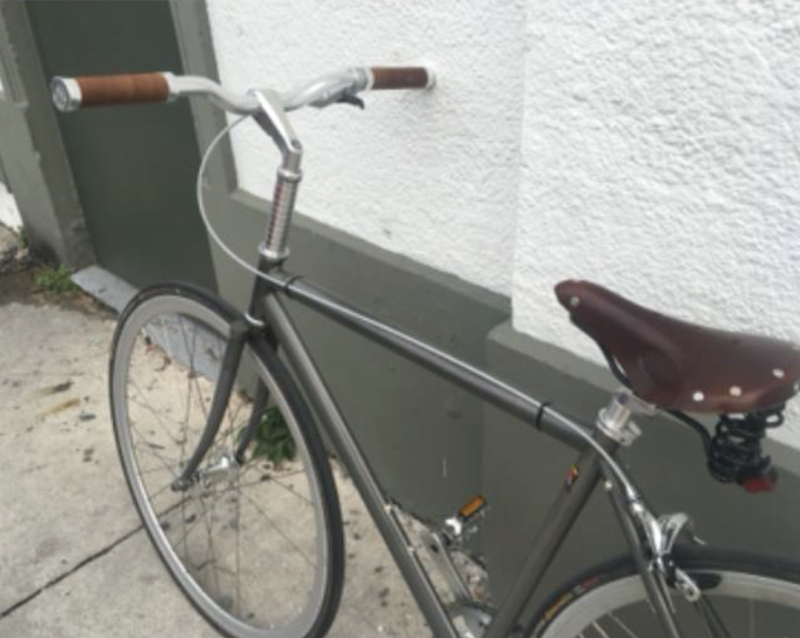 Custom brown cruiser stolen from Miami Beach on 9/21. Has Profile cranks, blue grips, blue gumwall tires and Brooks saddle. Chrome BMX handlebars (not pictured). Contact Philippe if you have any information. 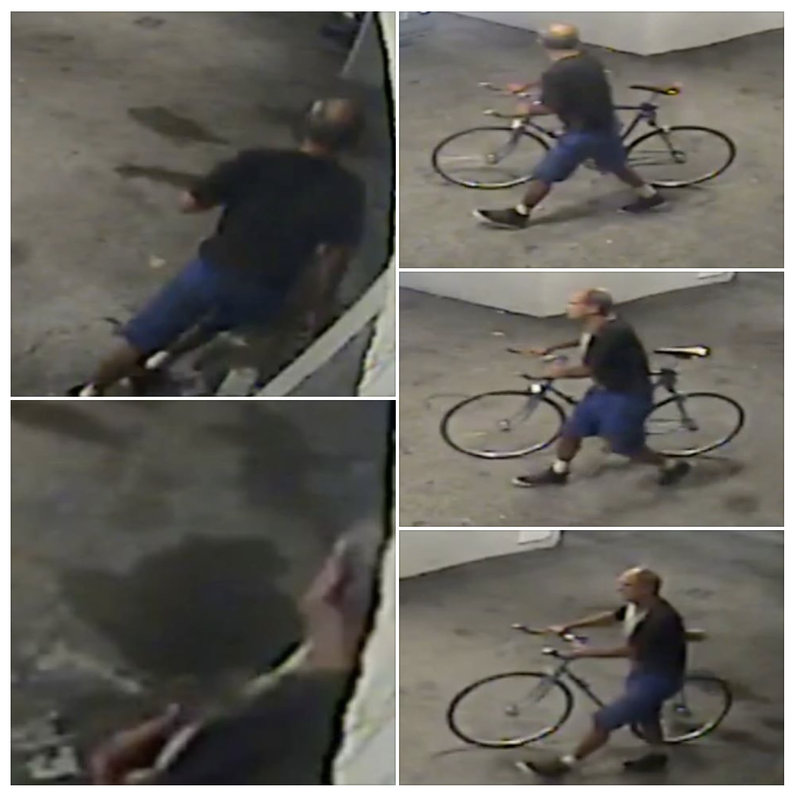 White fat tire Mongoose Vision stolen from the Fountainebleau in Miami Beach on 8/20. Contact Diego at (305) 302-0111 if you have any information. 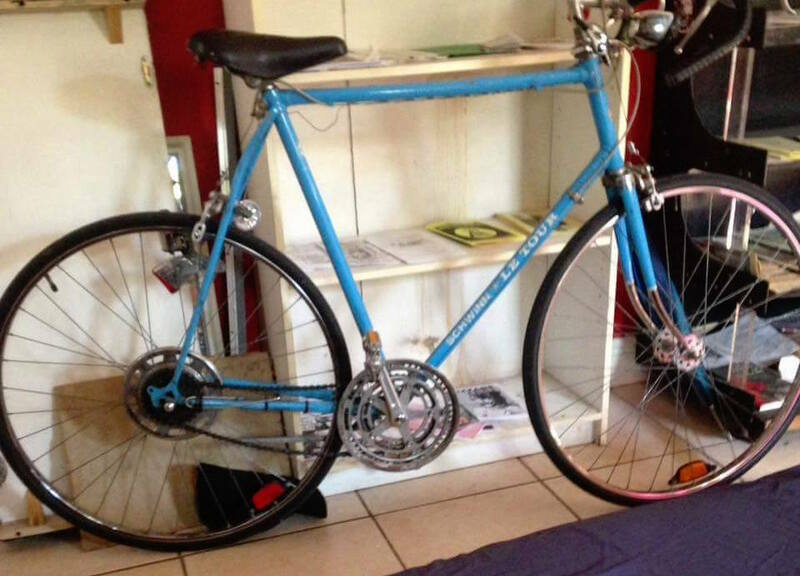 Vintage baby blue Schwinn Le Tour stolen from Little Haiti on 8/23. Contact Robert at (213)155-6083 if you have any information. 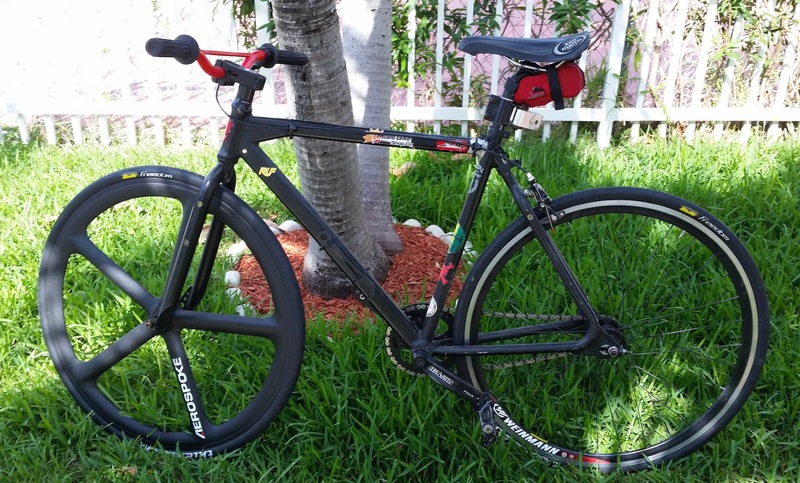 Black SE PK Ripper with decals stolen from Biscayne Blvd near Edgewater on 8/17. Red handlebar, black Aerospoke front wheel. Contact Karim at (305) 968-1013 if you have any information. 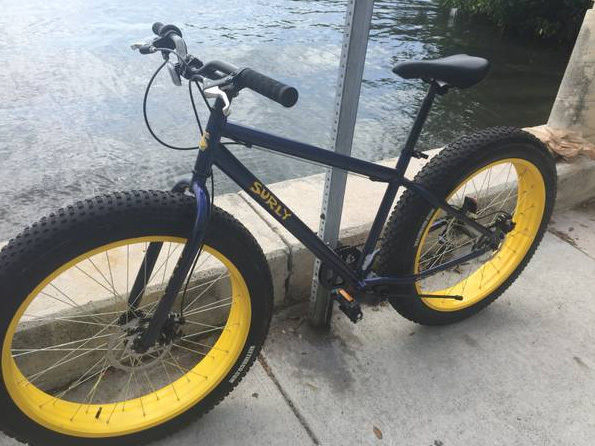 Midnight blue fat tire bike with yellow rims stolen on 8/11 from Biscayne Blvd near Edgewater. Contact Drew at (636) 675-1661 if you have any information. 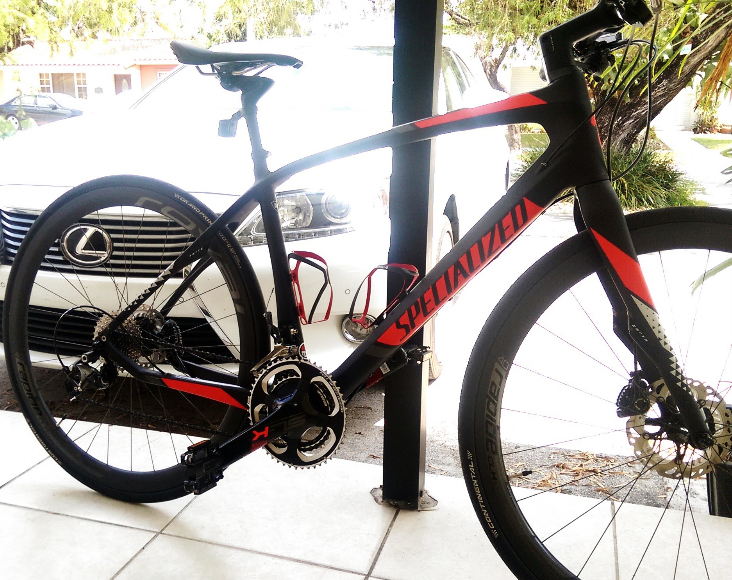 Two road bikes stolen from car parked at CVS in West Kendall on (7/17). First bike is a Pinarello Dogma 2 (serial #2AA4650800330). The 2nd bike is Cannondale Six (serial #UM46178). Contact Camilo at (904) 504-4519 if you have any information. 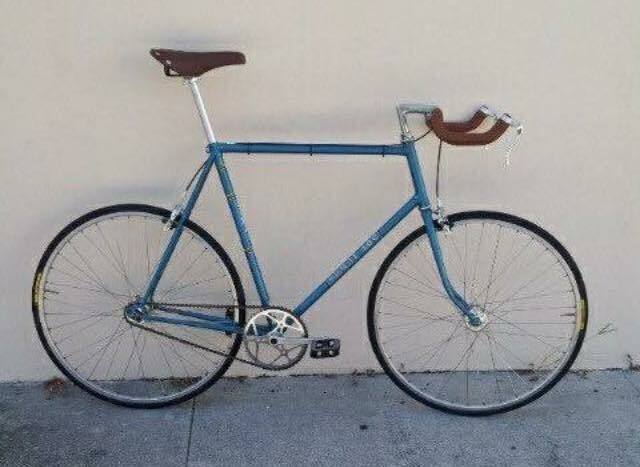 Mercier Kilo TT (gray/raw) stolen from Wynwood on (7/18). Brooks brown leather saddle and grips. No decals, lots of spacers on stem. If you have any information contact Coco at (817) 999-7321. 2016 Specialized Sirrus Pro Carbon w/ Roval wheels stolen on (6/13). If you have any information contact John at (786) 547-2056. 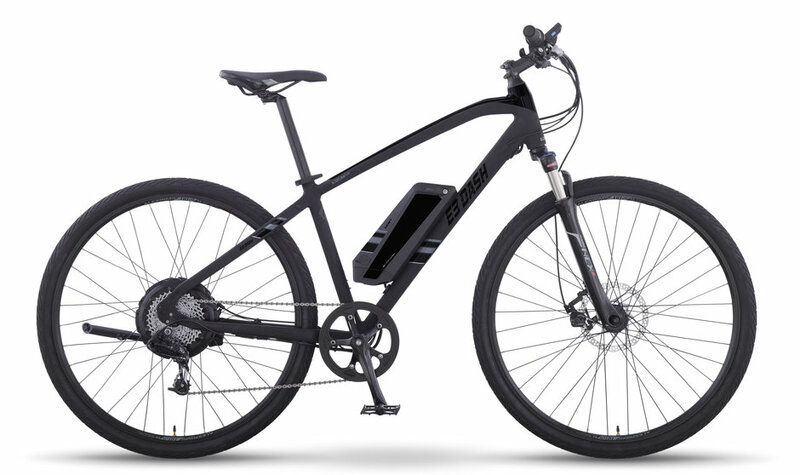 Stealth B-52 electric bike stolen from Miami Bikes located on 88th St and Biscayne Blvd on (6/19). The bike does not have key or charger. If you have any information please contact (786) 387-1594. 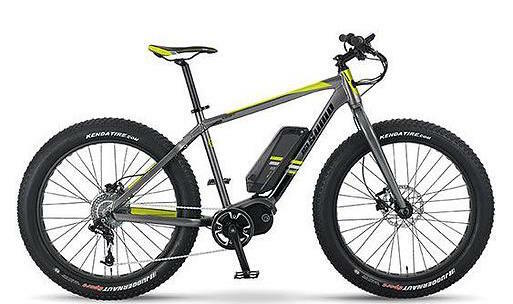 IZIP E3 Sumo fat tire electric bike stolen from Miami Bikes located on 88th St and Biscayne Blvd on (6/19). The bike does not have key or charger. If you have any information please contact (786) 387-1594. 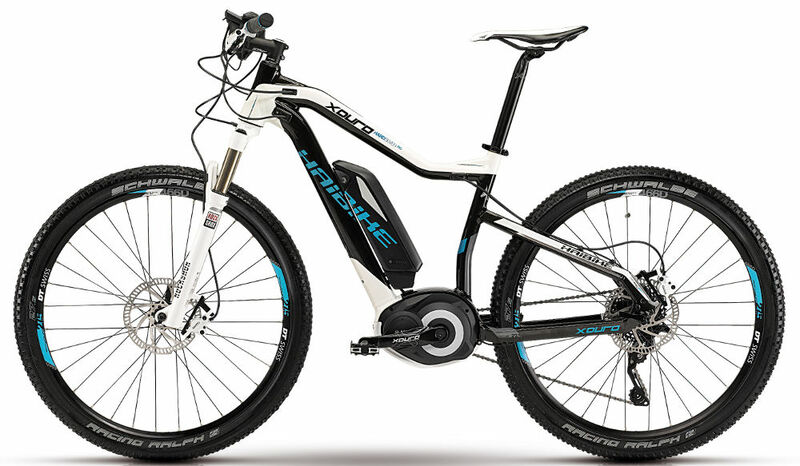 Haibike Xduro HardSeven RC electric bike stolen from Miami Bikes located on 88th St and Biscayne Blvd on (6/19). The bike does not have key or charger. If you have any information please contact (786) 387-1594. 2015 IZIP E3 Dash electric bike stolen from Miami Bikes located on 88th St and Biscayne Blvd on (6/19). The bike does not have key or charger. If you have any information please contact (786) 387-1594. 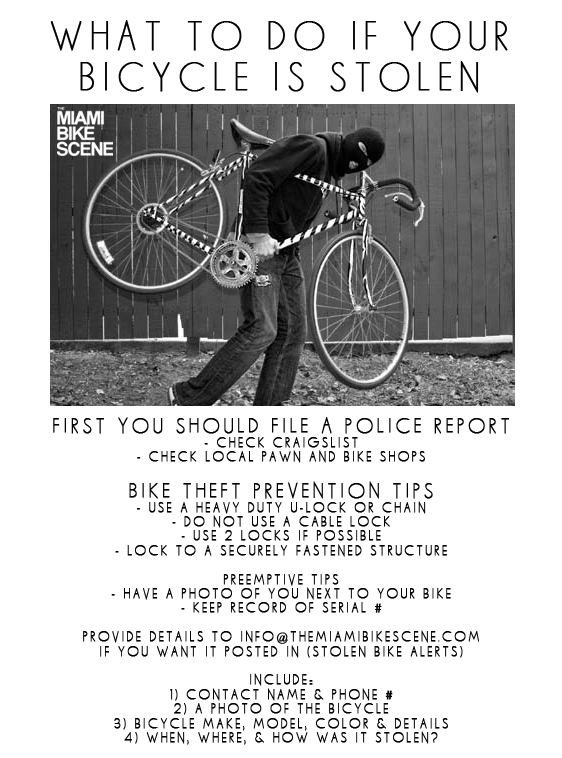 Fuji Nevada 29er 1.7 stolen on (6/13) from building in Brickell. Contact Alberto at (786) 678-8942 if you have any information. 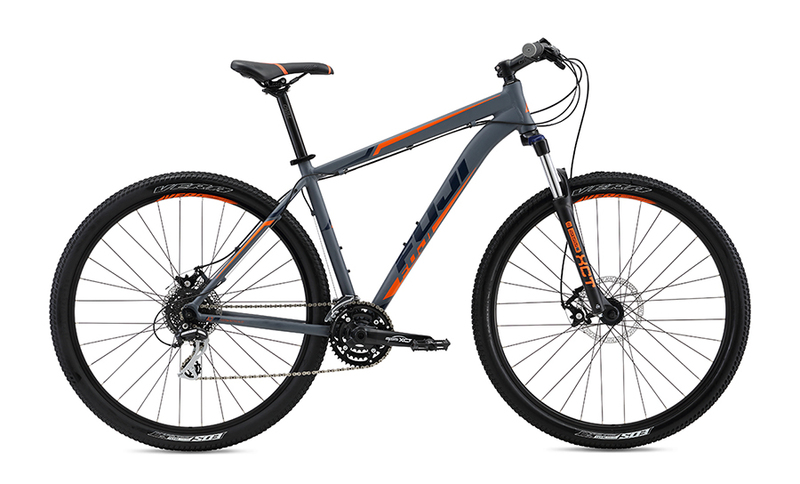 Trek X-Caliber 6 with disc brakes and Maxis tires stolen from Midtown on (6/6). Contact Andrea at (786) 280-1195 if you have any information.